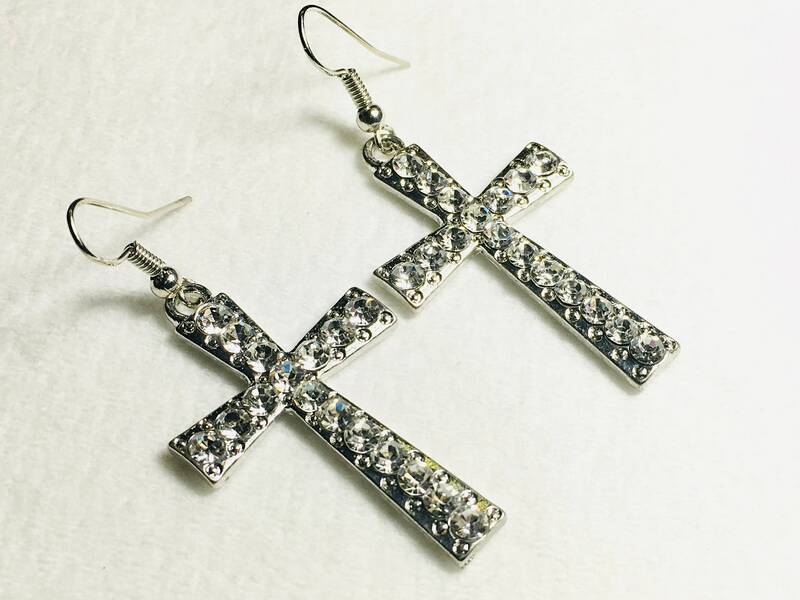 The perfect size Silver plated Rhinestone Bohemian Vintage Punk Cross Drop Earring. Perfect for Engagement and Weddings. Just slightly smaller than 1 3/4" long x 1 1/8" wide. 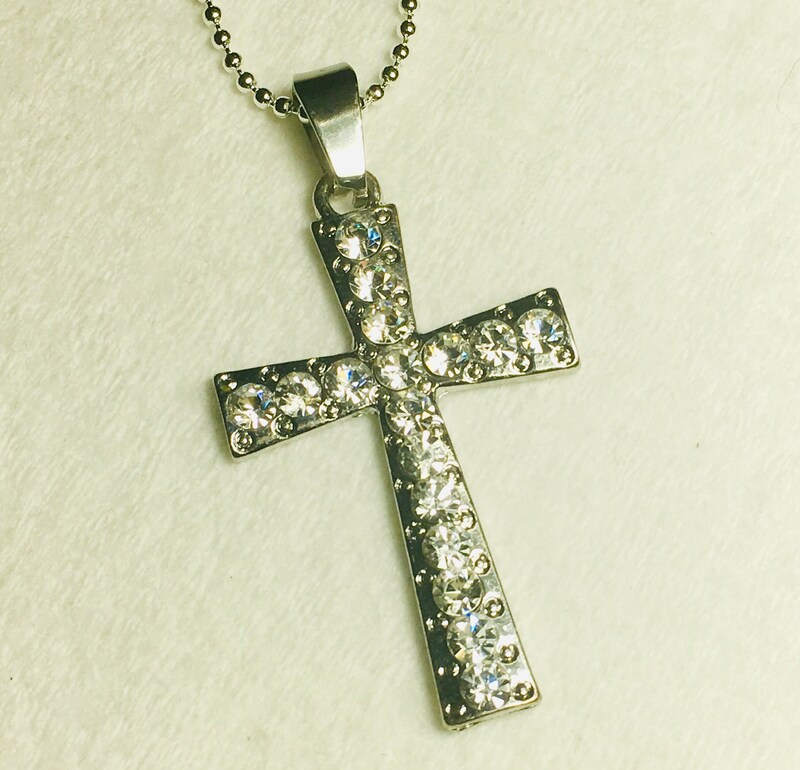 Necklace comes with a Silver plated 17” ball chain with lobster clasp.